Crystal Clear: Smooth tempered glass with reinforced beveled edges gives you maximum high definition image clarity and precision touch sensitivity. InvisibleShield Glass+ for the Apple iPhone 6/6s/7/8 is rated 4.3 out of 5 by 2591. Rated 5 out of 5 by Mointhebend from Best screen protector! Quality merchandise! ZAGG stands by lifetime guarantee! Worth every penny! Quality customer service, too! Rated 5 out of 5 by NWWade from Great Customer Service I originally bought this product from AT&T. When it came time for a replacement, the warranty request was straight forward. When it never arrived, customer service helped me out and sent another one. I'd definitely buy from Zagg again! Rated 5 out of 5 by EHBidmon from Does what it's supposed to do! I bought the screen saver with my new phone in December 2018. Since then, I've dropped the phone on 3 or 4 occasions and my screen is still in perfect condition. This is an excellent product. Rated 5 out of 5 by Montie from Great product I’ve had my old one for a long time, it began to break down after 3 years, finally I got a new shield and zagg was great! Sent me a new one right away and I slipped my old one in a prepaid envelope and that was it!! Rated 5 out of 5 by Shana6 from Great product!  We have been buying Zagg shields for years for everyone in our family, and we have been and continue to be very satisfied customers! Their products work great, and the company stands by their product guarantees. Rated 5 out of 5 by Major0217 from Great customer service , hassle free Great screen & warranty, I’m impressed with the service & how easy was to return , thank you , the associate was very nice & friendly . Rated 5 out of 5 by Monkamoo from Easy install, great protection I buy one for every phone. The customer service is great. Rated 5 out of 5 by Seamomof8 from beyond excellent service! i have had the best service replacing shields for my iphones. it is simiple, and secure, thanks! Rated 5 out of 5 by Michellels from Amazing customer service I bought a glass screen protector for my new phone, and accidentally registered the wrong product. I didn’t notice I had made this error until I cracked my screen and got sent a new one that wasn’t a glass screen protector. I emailed zagg, and they got back to me quickly, promptly, and were very friendly. I got sent a new glass screen, without any hassle! Rated 5 out of 5 by Girlie from Warranty Claim Zagg employees are awesome! After not receiving my warranty glass that was lost in the mail they sent me another one at no charge. Rated 5 out of 5 by Letty310 from iPhone 7 screen protector Can’t do without my Zagg! Great screen protectors! Rated 5 out of 5 by Carma from Replacement screen Thanks for the quick response and speedy shipping! It was great doing business with you! Rated 5 out of 5 by ALM1028 from Great products! Great Company! They have fabulous customer service and a great product. We have used them for ALL of our products and we are always pleased. Rated 5 out of 5 by R Scott from Great service My screen came late and they sent another at no charge. Rated 5 out of 5 by RJax from Fast and easy! I ordered my shield on Tuesday, applied it on Friday. No hassles involved! Thank you for you easy and quick service. Rated 5 out of 5 by cbbcab from Great protection! My first one lasted over two years before the little chips spread. Got a replacement in a timely manner. Rated 5 out of 5 by BAP1961 from Great Product Zagg has great product and customer service. Would recommend this to friends. Rated 5 out of 5 by boatman from Great Service Excellent people to deal with ! Very quick service and delivery . Rated 5 out of 5 by Peachpot from A must have for every phone Great service from ZAGG for a product that really protects your phone. We put one on our daughter’s phone last night and today she dropped her phone and cracked the screen protector leaving the phone itself untouched. The product really works! Rated 5 out of 5 by A10jetjock from Did exactly what it was supposed to do I purchased the original about 7 months ago. I dropped the phone and the cover cracked, taking the force of the fall and protecting my iPhone. Zagg quickly and graciously sent me the replacement and it was easy to put on making my phone as good as new. Rated 5 out of 5 by Countrygirl2 from Great customer service! ZAGG was fantastic from beginning to end. Great customer service and timely delivery. I purchased the Screen protector for my iPhone 6 plus but now I am upgrading to an iPhone 8. Do I have to buy a new screen protector or can I request a replacement but get it for my new phone instead but still send in my old broken screen protector? Our Limited Lifetime Warranty does not transfer from one model to another, you would need to purchase a new InvisibleShield. The Glass+ will not cover the edges of your iPhone 8. Our Customer Care Team can be reached at 800.700.9244. Thank you! The edges of my new had glass+ aren&rsquo;t sticking down in my new iPhone 8 and the right side is off by just a bit even though I used the guide. Now it has a rainbow effect along the edge. What can be done? Please give us a call at 800-700-9244 so that we can resolve this issue for you. I am reading reviews about this screen protector not fitting the iPhone properly &amp; have bubble effect on the edges ... &nbsp; is it sorted out now ??? I have an Apple 6 iPhone and the Verizon installed glass protector is coming loose. How do I get a free replacement? Hi. Please reach out to our Customer Support team at 800-700-9244, as they can assist you with a replacement. I put cover on and had to lift one corner to get bubble out, now the corner will not adhere to screen. How can I fix this. I tried holding pressure on spot, when pressure is released the corner comes loose again. We're sorry to hear you are experiencing issues with installation. Please give us a call at 800-700-9244, so that we can assist you with a solution. the screen protector seems so much bigger than my 6s, how is it supposed to fit it? This screen protector has been tested as compatible with your iPhone 6s. If you feel your screen protector is too big, you may have the one for the 6s Plus. What happens when the screen protector lifts and has bubbles, or air if you will, on the sides? I just purchased the glass+ in December 2016 at Verizon Wireless. Please advise on how to fix this or steps on getting a new glass + screen protector. Is the Invisible Shield screen protector compatible with most back covering cases? &nbsp;My screen protector is cracked. What do I need to do or Who do I need to contact about getting it replaced? Please contact Customer Care at 800-700-9244 as they can provide you with a replacement under warranty. I upgraded to iPhone 8 and had ATT apply glass. It was not sticking along edges. ATT&nbsp;installed another with same outcome. &nbsp;I attempted a third with same outcome. &nbsp;What is issue with iPhone 8&rsquo;s? &nbsp;This is an ongoing issue as others asking same. We're sorry to hear of your frustrations. We'd be happy to look into a solution for you. Please give us a call at 800-700-9244. We hope to resolve this soon. I am on my 2nd screen protector installed by Verizon and they have both had bubbles and raised around the edges. The most recent one also has a rainbow down the side. Is there a way to press the bubble out and reseal the edges? We suggest contacting our Customer Support team at 800-700-9244 as they can best advise on a solution. If the screen protector is on the iphone and the screen cracks anyway, is there any warranty from ZAGG? All of our shields come with a limited lifetime warranty. It will only cover the shield itself. I purchased a similar glass shield product from bodyguardz and it would lift on the edges. They said it was from my iphone7 having an uneven screen. Is this a possibility with your similar product? The Glass+ is designed to work with curved products. You should not have any issues of the edges lifting. Need to order for my new iPhone 7's arrival and not sure to order &quot;case-friendly screen&quot; or not? What is the difference and how is one more beneficial than the other? I think I might have accidentally bought this screen protector instead of the 8 plus. Will this fit on the 8 plus? Hi, Clara. This shield is not compatible with the iPhone 8 Plus. We suggest reaching out to our Customer Support team at 800-700-9244, as they can assist you with a solution. My invisible shield is peeling. I bought it on 9/5/18. It is suppose to have Lifetime Warranty. How can I get a replacement? We'd be happy to assist you. Please reach out to our Customer Support team at 800-700-9244, as they can assist you with a replacement under warranty. I dropped my phone like 20 minutes ago may I be able to receive another one? Is there a vision shield for my iPhone 8? This shield is compatible with your iPhone 8. To register your product, head to: https://bit.ly/2q2dGOK. Or, if you would rather speak with a representative, you can call 800-700-9244. Does this package come with a dust removal sticker? Or specifically what is included in the package? Is this specific screen protector, the Glass+, compatible with the LifeProof Nuud case for the iPhone 8? The Glass+ is compatible with most cases. My invisible shield is separating from my phone on all sides. How do I replace my damaged screen protector? Please contact Customer Care at 1 (800) 700-9244 as they can provide you with a replacement under warranty. I have an iPhone 6s Plus. My mom got me an invisible shield protector for an apple iPhone 6/6s. Before I open it I wanted to ask if it&rsquo;s compatible? Thank you. No, this shield is not compatible with the iPhone 6/6s. When I select 'Add to Cart' for the Glass+ it keeps telling me to specify products options.. How do I do this? We're sorry to hear you are having an issue placing an order with us. Our Customer Care Team would be happy to help you with this. Please give them a call at 800.700.9244. Thank you!